Matt and Natalie chose the wonderful Notley Abbey set in the beautiful countryside in Buckinghamshire to celebrate their big day together. The groomsmen settled any last minute nerves with a drop of whiskey whilst the bride made her final preparations making sure everything was perfect. 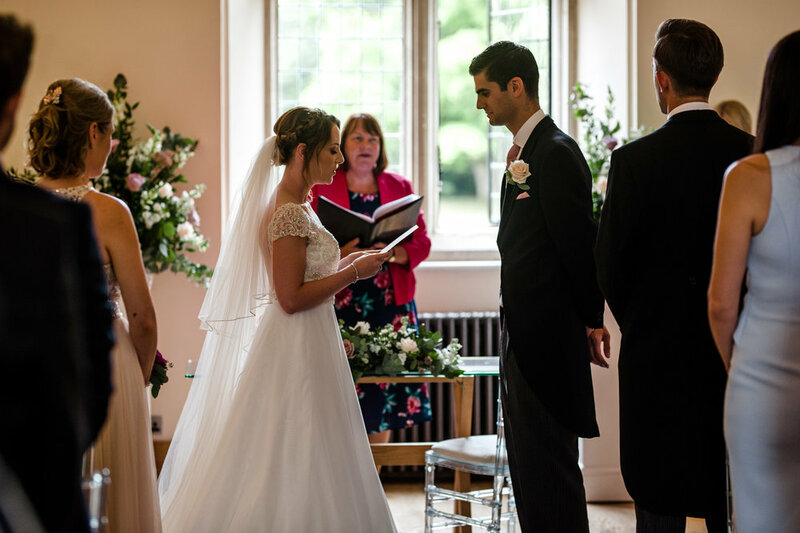 The couples vows were personalised and heartfelt making the intimate ceremony surrounded by loved ones simply perfect. The weather was kind and the guests were able to enjoy the stunning grounds of Notley with a glass of bubbly before sitting down for some delicious food and highly amusing speeches. Once the tables had been cleared and the live band had tuned up their guitars a fun evening of dancing commenced. So it’s the first of January and it’s out with the old and in with the new-dry January, healthy eating and of course attempting to hit the gym! On a personal level my resolutions include finally learning the guitar properly and getting out in the fresh air on my mountain bike more often-instead of both sitting idly gathering dust in the corner of my living room! I was fortunate to work at some truly fantastic venues across the UK including the Savoy Hotel, Asylum Chapel, Clock Barn and even a boat on the Thames to name just a few, and have enjoyed capturing many special moments for some simply brilliant couples. One of my favourite parts of being a wedding photographer is meeting many diverse and inspirational couples and their loved ones, and documenting the many different styles of weddings often with individual themes and varying styles. No two weddings have been the same and it’s truly been a pleasure to help tell the story of your wedding day- I hope you will look back on your galleries and enjoy your photographs for years to come. To all of my couples already booked in for 2019 I cannot wait to be part of your journey and am looking forward to capturing some everlasting memories for you. Big thanks to everyone and wishing you all a healthy 2019 filled with love and happiness!